Said the teacher of a high school student, Itoshiki Nozomu, who were found by his student after attempting a suicide at the school Sakura tree in the beginning of April. The student who met the man, Fuura Kafuka, almost commits a murder of his teacher by pulling him when he’s in a hanging rope as a blind sheer of kindness. Thankfully, the hanging rope snap and the man fall into the ground. “What if I die? !” The man said, yet hanging himself in a rope a minute before. After regaining breath and composure, he arrogantly and acting mysteriously ask why she stop his death. He believes, while maintaining his cavalier attitude, that his life worth nothing. Of course, she wonders if he did or did not intend to die. Hearing that, the man turns around to the girl. The girl continues rambling on how on such beautiful place, where dream and hope are born, someone could commit a suicide. She believe it is the act of disrespect with the biggest cherry blossom tree in the spot, name Pink Gabriel, which happen she name it (also) at the spot. She also called the man Pink Supervisor, because he was playing (hanging, really) in a cherry tree called Pink Young CEO. The man can’t help but react to this very-unmanly nickname with a rejection. He said that everything in this world can’t be arbitrarily named. Thanks to the naming rights, only with money you can name things. In times, Mt. Fuji will be called Mt. Shonen Magazine thanks to excessive naming trends between corporations. As he explains, his pessimism grows his will to die. The man feel awkward with the girl experience, don’t know what to do yet maintain his reactionist side. 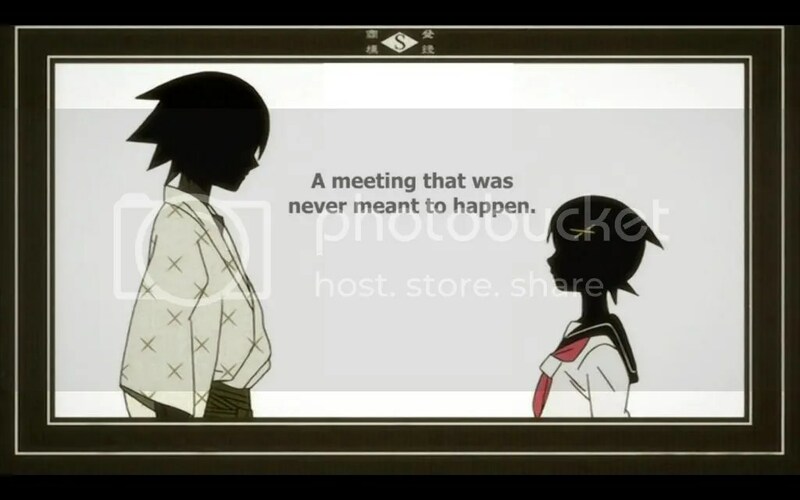 It is a meeting who are not meant to happen between a super-positive girl and the extremely-negative teacher. Both sides question each personality, thinking the opposite are weird. After a humiliating comment given by the girl, the man part his way by running, screaming hysterical nonsense while at it. They soon found out that the man is the homeroom teacher of the girl. 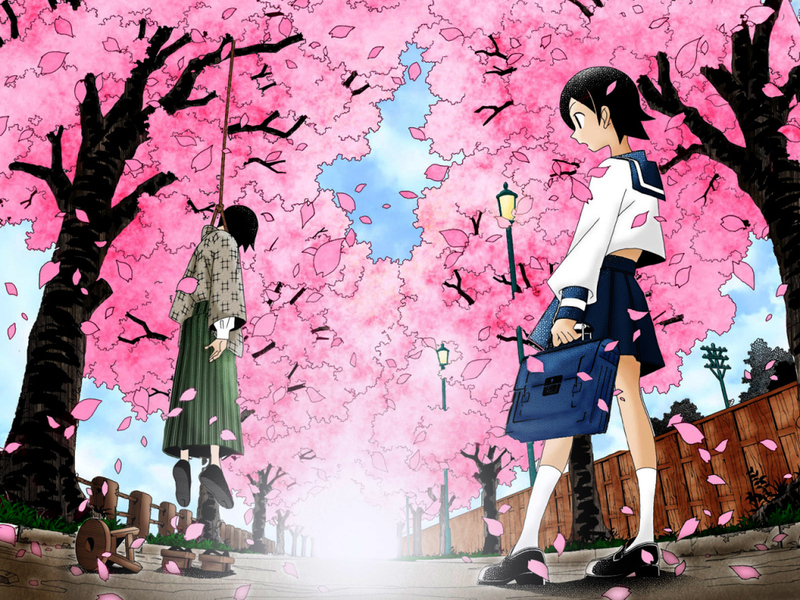 Sayonara, Zetsubou Sensei is an astounding Anime that question every aspect of life, and the culture of Japan. The story enveloped in a high school life, stamped with a troublesome teacher and written with a problematic students. Performed in a well-entertaining manner, I can’t help to laugh yet also have a deep thought on the topic. Every episode has its own originality, which makes it hard to draw a clear definition of the Anime. If I have the legitimacy to say, I’d say a compilation of random story. 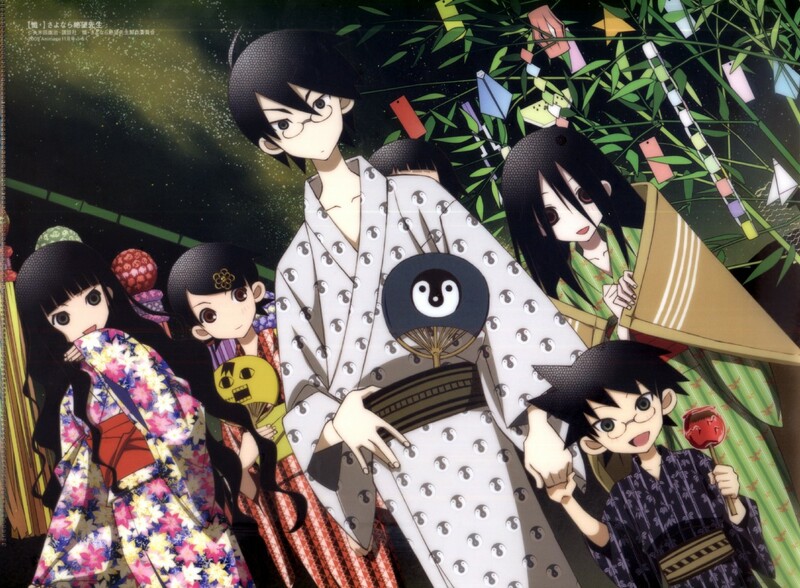 But a good story need to have purpose and ends with meaning, and it is clear that Zetsubou Sensei have accomplished both objectives. The main protagonist, Itoshiki Nozomu, is a very amusing person. 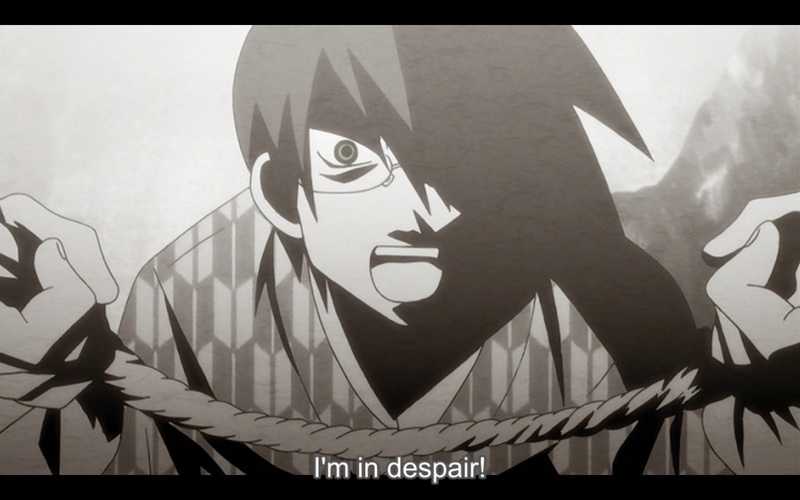 If you write Itoshiki Nozomu as a kanji horizontally, it will be transformed into the word “Despair”. That been said, his personality also befit the name, with extreme paranoia, negativity, depressive, and pessimistic attitude. He also often tried to commit suicide, but seldom to have any real intention. His trademark, “Im in despair!”, bears a critique of a society in an fresh, exaggeration manner. In most of times, Nozomu wear Hakama and Kimono everywhere. Most of the main girls seem to have feelings for him but only because they misunderstand what he said to each one of them. His negative personality started blossoming when he was in his first year of high school when he ‘accidentally’ joined a ‘Negative’ club. He is based upon the main character from Dazai Osamu’s No Longer Human, which is both Nozomu’s and the author’s favorite novel. The main heroine, Kafuka Fura, have an “everything will work out nicely” attitude. A perfect polar opposite persona from Nozomu, Kafuku is an optimistic student who always sees everything in the single most positive light possible. She often has bizarre, childishly optimistic explanations for grim situations, like the above example calling hanging = trying to become taller. In the beginning of 2nd Season, Kafuku Fura has shown her dark side in the background while maintaining a cheerful personality when with others. It was made clear that this kind of action was derived from her broken home. There’s an unexpected twist at the end, but I will leave it to your imagination for now. Kafuka Fura is a pen name, taken from the name of author Franz Kafka, and is quite at odds with her sunny attitude. Her real name has not been officially revealed; however, she was referred to as “An-chan” in a flashback, and the surname “Akagi” appears in the attendance book, leading fans to speculate that her real name is An Akagi. In another flashback, she had a name tag that said “An” on it. This would parallel Nozomu’s comment in the first chapter about her personality resembling Anne of Green Gables (Akage no An). 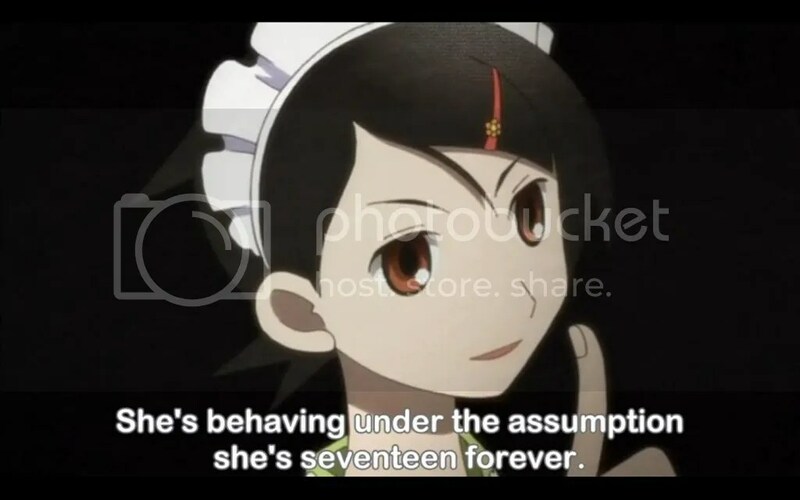 It may also refer to akagi (red future) considering Nozumu’s fate whenever he is near her. For example, her attempt to save him at the start nearly killed him instead. In fact, this becomes a running gag in the series, with Kafuka frequently coming across Nozomu in the process of attempting to kill himself, hurriedly intervening and (whether accidentally or deliberately) nearly getting him killed anyway; on each of these occasions, Nozomu reacts by, ironically and in complete ignorance of the situation prior to Kafuka’s intervention, asking in protest what she would have done if she had killed him. 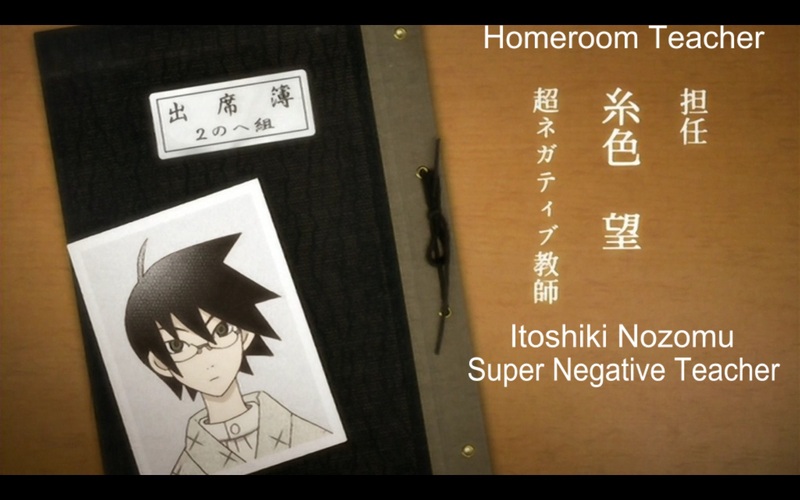 Zetsubo Sensei has a unique drawing and animation. Even though the 1st Season was made in 2007, it is still one of the best Anime I’ve ever watch. 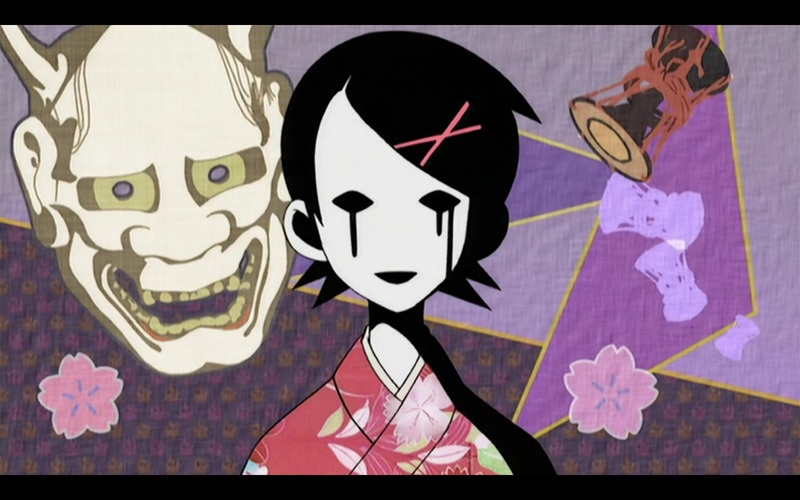 You might notice the screen changes are similar with Arakawa under the Bridge or Bakemonogatari. Even the protagonist voice actor is the same! That’s because those 2 anime actually imitate Zetsubo Sensei animation. You could say Zetsubo are the founding father of those 2 anime, in animation procedure, that is. There are several interesting fact in the series, one of them are concerning the character names. Excluding the Kafuka Fura, every character names in the Anime are a parody. They have personality that befits their name, making an easy distinction by the act of labeling. For example, there is character that named Otonashi Meru. Translated literally, otonashi mean “silent” and meru means “mail.” In the Anime, Meru is a very shy girl who does not talk and only communicates via text messaging on her cell phone; she is notably and viciously abusive in her e-mails. You might notice a noticeable amount of the author head. As a joke, the author head are used in several scenes for censor, a clock, or just filling the complete second. Sometimes, there are also a several minute story that does not make any sense. Probably for a change of pace, to avoid overheating the watcher, or the author has no idea what to convey anymore. Of course, the notable information that you might be interested is the fan service. Worry not; they have a fair fan-service scene-distribution in each episode. I seldom praise an anime or manga as high as this, but really, it has a superb story. It’s random, but it’s magnificent. Most of times while watching anime; I was emotionally involved as one of the character in the series. And at the end, perhaps a feel of satisfaction that last for 2 – 3 days; But not this one, no sire. Instead of emotionally involved, my head was aroused. Instead the feeling of satisfaction, they leave a questionable impression that made me ponder for a long time; and at the end of the pondering, a feeling of accomplishment to understand some things. Clearly befit the genre of Satire, a comedy act that criticizes your belief, surrounding, and issues. But perhaps, my judgments are very subjective. I must say that instead of Moe anime which emphasize cute character with little meaning, I prefer one that makes me question everything. ← Akemashite Omedetou Happy New Year 2013!! !